Can I Deduct Realtors' Commissions on My Income Tax Return? You subtract commissions from capital gains, not ordinary income. Real estate commissions typically run 5 to 6 percent of the sale price on a home. Usually that's split between the two agents or brokers that help the buyer and seller with the sale. These commissions are paid out of the seller's proceeds. That can add up to a painful bite, but if you pay commissions, it can help you reduce the amount of the sale -- if any -- subject to capital gains tax. Selling real estate generates capital gains rather than regular income. Your gain when you sell a house is the "amount realized" less the adjusted basis. Your basis is the original purchase price, plus expenses such as closing costs. The amount realized is the sales price, less commissions, fees and other costs necessary for the sale. If you sell a $200,000 house for, say, $300,000 and pay a $15,000 commission, your gain is only $85,000. If you're selling your personal home, you probably won't have any taxable gain to report. You can usually exclude gains of $250,000 or less, or $500,000 on a joint return, provided you've lived in the house at least two of the last five years. The IRS says you don't even have to report the excluded amounts on your taxes. As you're not reporting the sale, of course, you get no added write-off for the commission. There are times you can't exclude all of your gain on the house. For instance, if you haven't lived there long enough, or you've excluded the gain on another home in the past two years, there's no exclusion. 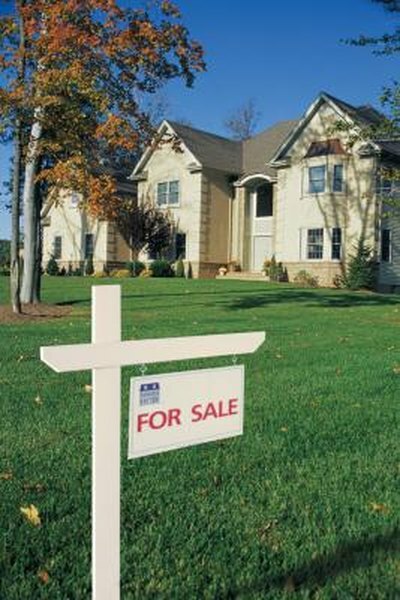 The IRS does make exceptions: if you have to relocate for work, say, you can get a partial exclusion when you sell. If you're lucky enough to sell a home for more than your exclusion, everything over that figure is taxable. Everything from the size of the commission to who pays it may be negotiable in a sale. If you're buying and the seller insists you take care of the commissions, you can't claim them as a tax deduction until you sell the house. At that point you treat them like closing costs and add them to the basis. This reduces your basis and lowers your gain. Until then, there's no write-off.